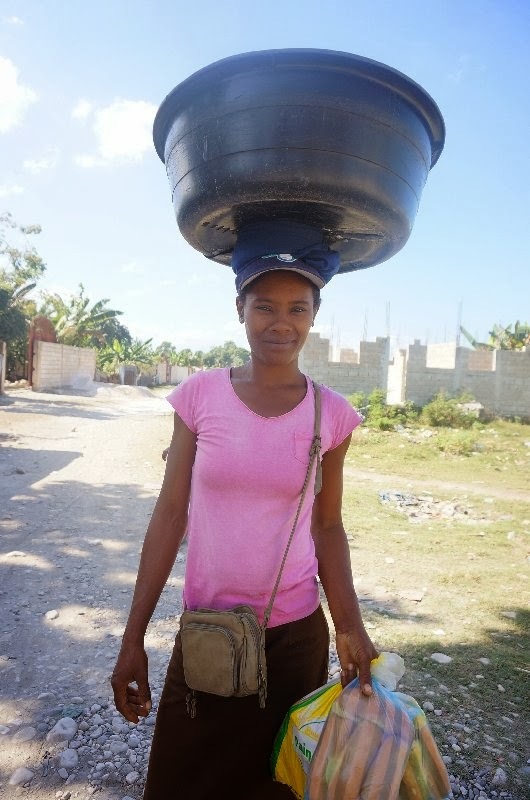 I was recently privileged to be part of a team of women from our church who went to Haiti on an exposure tour with Compassion Canada. It was a trip that took me right out of my comfort zone. 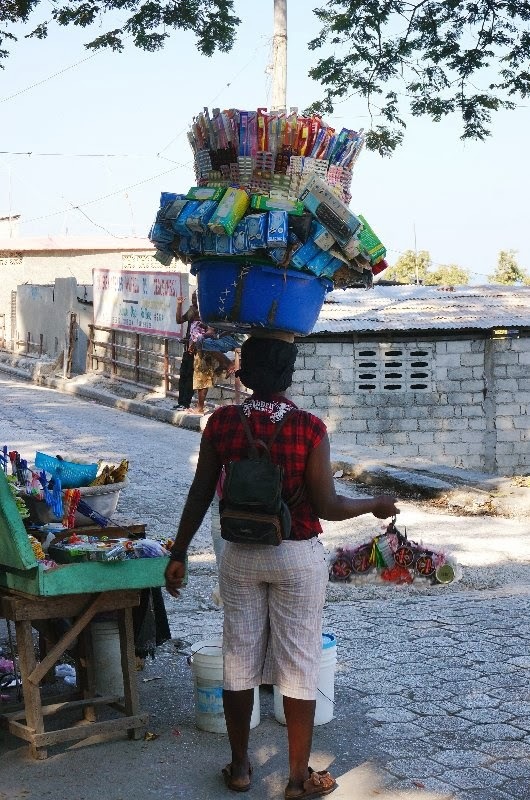 Like many others, I don't like to see extreme poverty and Haiti is the poorest country in the western world. I don't like to see devastation. There was a lot of devastation remaining from the 2010 earthquake that cost 250,000 people their lives. However I and the other women that signed on saw God's definite leading as He made it possible for us to go. So we went, with fear and trepidation, with hope and a willingness to be used of God in the lives of the children and families we would meet. We expected to be challenged and changed by our experience however we did not anticipate the resilience and faith of the Haitian people. What an example they were to us! Although they live with physical poverty, they have a wealth we do not possess in grateful hearts, generous spirits and strong faith. Our Compassion Haitian guide, Jeannot, told us that when the earthquake happened, people thought it was the end of the world and many turned their lives over to God. Church attendance has increased and among those we worshiped with on the 4th anniversary of the earthquake we saw nothing but thankfulness and praise. Worship service on the 4th anniversary of the earthquake. Instead of defeat and despair, we saw people at work doing what they could to address the physical and spiritual poverty around them. We met the all-Haitian staff at the Main Compassion offices and at the various projects. They share a passionate dedication to the children and families they serve. We met talented, brilliant young people who have qualified for university studies and are supported by the Leadership Development program. They are the hope and future of this country as they set their goals to be teachers, business, church and government leaders. We were warmly welcomed as we visited a number of the projects that Compassion supports through their Child Sponsorship Program. The children were a delight - full of self confidence, joy and eager to sing and recite for their Canadian visitors. The moms and children from the Child Survival Program in Project HA 152 at the women's conference. We were also blessed to be part of a women's conference with the moms and babies of one of the Child Survival programs and were able to hear their stories and share ours with them. Despite the differences in our economic circumstances, we have so much in common. We accompanied several of them into their homes and were able to help with the things all moms do, laundry, cooking, bathing children. We share the same concerns, joys, and hopes for our families. And when asked what their dreams were, most often we heard them tell us how they desired a life of faith for their children. Street vendors line every road. 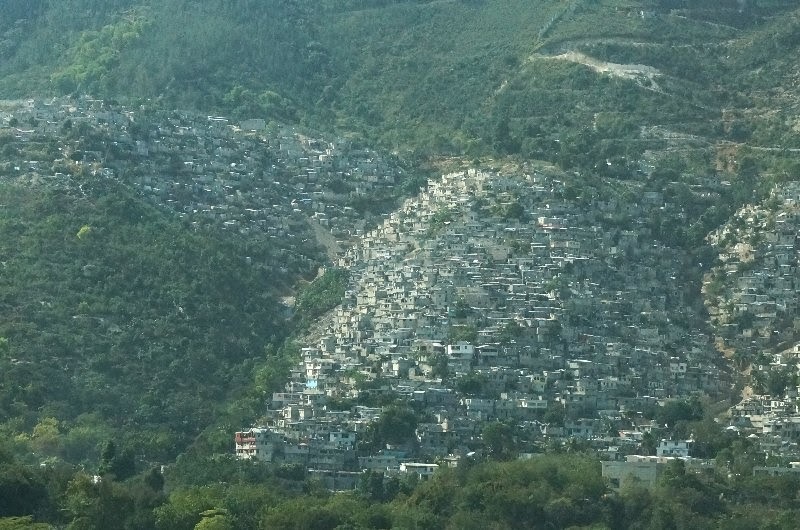 A hillside section of Port au Prince - many of these buildings are built of inferior concrete and without any rebar. 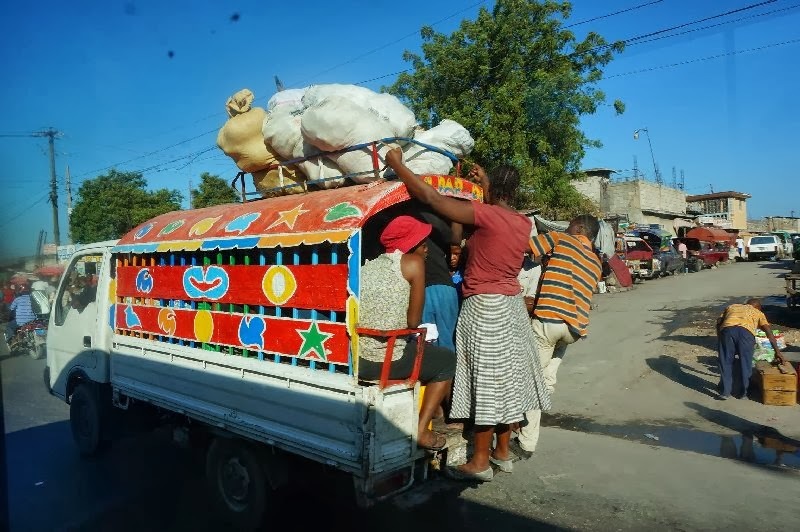 There are no seismic building codes in Haiti which is why there was so much destruction and loss of life during the 2010 earthquake. 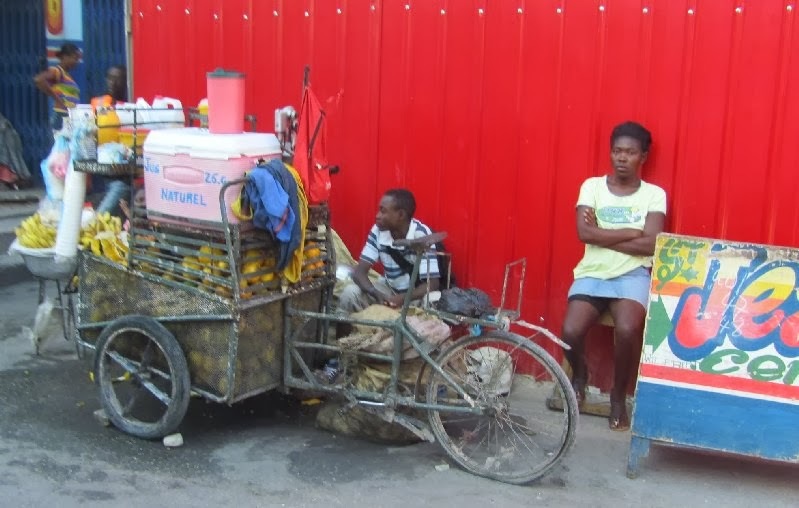 Yes, there was poverty - it is impossible to describe the extent of it; yes, we saw the devastation - piles and piles of rubble and still so many people who are living in shacks cobbled together from bits of wood, tarps and galvanized tin. And yes, there are many still traumatized and living with despair. But God is at work here - through those who are willing to share what they have and through people like the dedicated staff of Compassion - who live and worship among those they serve. I was thrilled to able to meet Francia, the child we sponsor and spend a day with her. Christ calls us to help those in need. By doing so we are showing the love of God to them. There are so many ways to share our physical and spiritual wealth with those less fortunate, whether they are next door, in our own communities or across the globe. God equips each of us to help others. May we be sensitive to His direction as we share His love with a hurting world. Thank you for the descriptions and pictures of your inspiring trip, and thank you especially for the picture of the section of town built on the hillsides. I think it is difficult for most of us to imagine how people have built a crowded urban area right into a tropical/subtropical landscape, and that image shows it very well. Have you read Tracy Kidder's book "Mountains Beyond Mountains" about the work of Dr. Paul Farmer in Haiti? I recommend it. Thank you for sharing your Compassion trip Bev. It causes me to wonder about the children we support.... and I feel inspired to write them more...seeing the children you visited. We heard over and over again how important sponsors are to those kids - from the children and students themselves. Many expressed to us how their biggest dream was to someday meet their sponsor and say thank you. May the people of Haiti continue to rise above such immeasurable sorrow and devastation. Bev, I give thanks for taking the time to share with us. I am touched by every part of your post. What a great report. Thanks. Bev, what a wonderful opportunity you ladies took. I can imagine you came home challenged and changed. How very special that you were able to meet your little girl face to face. We too sponsor children through Compassion and it would be amazing to meet them and their families. I know that you will never loose that spot in your heart that was touched through this trip. Our youngest daughter went on a missions trip to work in an orphanage in Haiti during high school. 7 years later she still remembers, she would tell you that it changed her forever. She said it took a long time to process with her beloved Father all that she saw while she lives such a comfortable life here in the states. So thankful for groups like Compassion who are reaching round the world to love on kids in need. Another great organization is Mennonite Central Committee. http://www.mcc.org/ It has a very good record.